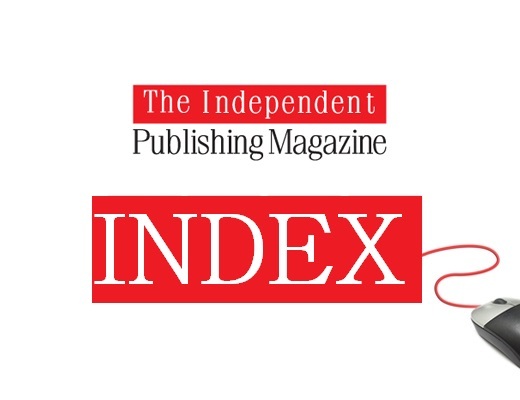 This is the PUBLISHING SERVICE INDEX for May 2017. Our last index was released in February 2017. Originally I compiled the index, month-to-month, but I found the work involved to update almost 90 companies and service providers was not being compensated by enough changes on the index over a short period of weeks. Indeed, some months the changes were very modest, and sometimes hardly noticeable. I held off releasing an index during the months of last summer because I began to see some changes within the service industry providers and I was curious to see how these would all play out in 2017. Unfortunately publishing service providers continue to fall by the wayside and close their doors, either because of a downturn in business from authors seeking full service providers, and combined with increased competition from freemium publishing platforms (online platforms that offer free basic services, but charge for more advanced services). There is one positive aspect of this. It means highly predatory companies are finding it more difficult to sucker in authors unfamiliar with the publishing landscape. This week TIPM reported on Tate Publishing. The company closed in February but was planning to return to operations in recent weeks. Fortunately the Oklahoma Attorney General had other ideas. Turning to the May Publishing Service Index TIPM has just released: the top six show no changes, but there are changes from positions seven through ten. CreateSpace has consolidated its position, and for the first time since last year actually rises one place to ninth. Thomson-Shore, for the first time ever, enters the top ten. Mill City Press, now owned by Xulon (Salem Communications), exits the top ten for the first time. This is never a good sign and the author feedback I am getting continues to suggest that the new ownership transition has been a less than satisfactory experience for some authors. We have one new entry for the latest index, Nook Press. Entering at number 28, its position is still provisional and may take a while to settle. Nevertheless, despite some limitations with Nook, and how long Barnes & Noble will continue to operate and support it; it’s a respectable entry position on the index. Mick, we should be on this list. Please check us out at https://www.starprintbrokers.com. Since 1999, we’ve been printing high-quality books on press, in Asia and USA. We are based near Seattle. Star Print Brokers offers options that are often hard to find elsewhere. We pride ourselves on NOT doing print-on-demand books, either digitally output or on press, without a critical eye to detail. We strive to provide the finest in book printing and secure bindings. Our focus is on color reproduction, manufacturing high-quality books for our clients, and at an affordable cost. Star Print Brokers works not only with American self-publishers, but also authors from other countries. We stand behind the books we print. As other providers go out of business, we continue printing the best books for self-publishing authors, small publishers, photographers, fine artists, art galleries, and anyone who wants the best in fine book printing. We also design books. If I get a chance I’ll take a look at Starprintbrokers. But I guess your name, in itself, raises a question for me. Are you a print broker or a dedicated in-house printer? I ask, because if I were reviewing mortgage companies, I’d want to review the mortgage companies themselves, and not a middleman broker that delivers the bests deals from external partnerships whether based on service quality, product etc. Is this the way it’s going? Are there no traditional publishers left, except for celebrities, including politicians? And what about those Marketing Guides that tout Christian Publishing Companies that turn out to be nothing but scam artists? After a negative experience with Tate (listed in Jerry Jenkins CHRISTIAN WRITERS MARKET GUIDE), and again with a so-called traditional publisher who stole my manuscript and put it on CreateSpace for himself, I am too stunned and skeptical to even want to continue in this scam-ridden business. Is this because people in general have just stopped reading, therefore no longer interested in books by unknown authors? Has this lack of demand for books resulted in the business of self-publishing, which is a dream opportunity for swindlers? I am only letting off steam. Tomorrow I will be writing again, even if I can’t find an honest place for my next book. What kind of moderation? Was I too honest? Dear Mick, many thanks for your list, from someone who has been experiencing the ordeal of coping with poetry publishers, from the unyielding traditionals to the now uncaring self-publishers including those who claim to be “hybrids.” One appears to deviate from the norm – 3rd Coast Books. Do you know anything about them? I don’t Jim. I’ll see if I have time to take a look in the coming days and weeks.